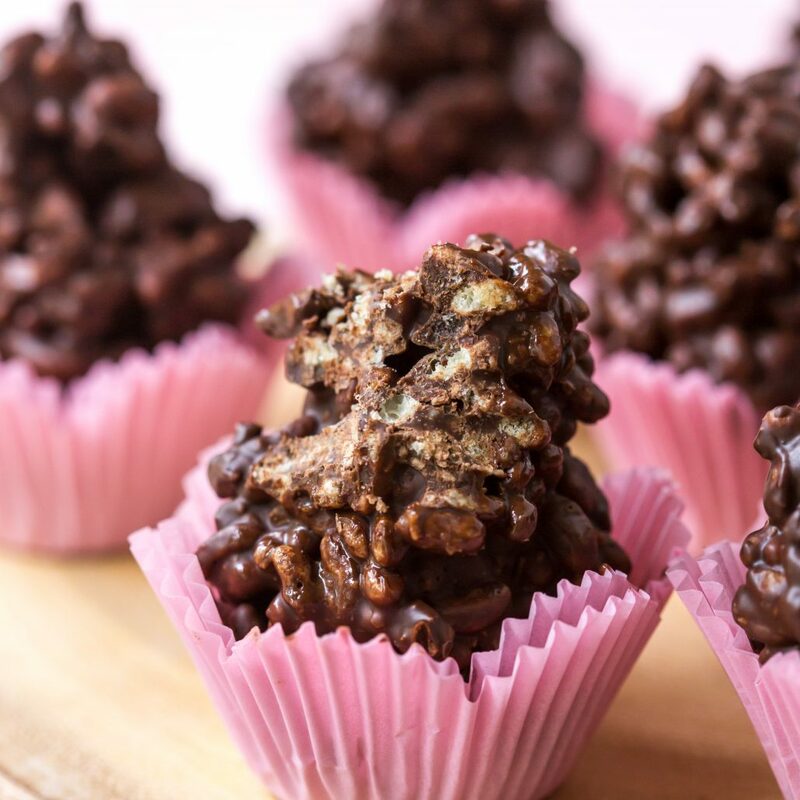 Everyones childhood favourite, chocolate crackles! 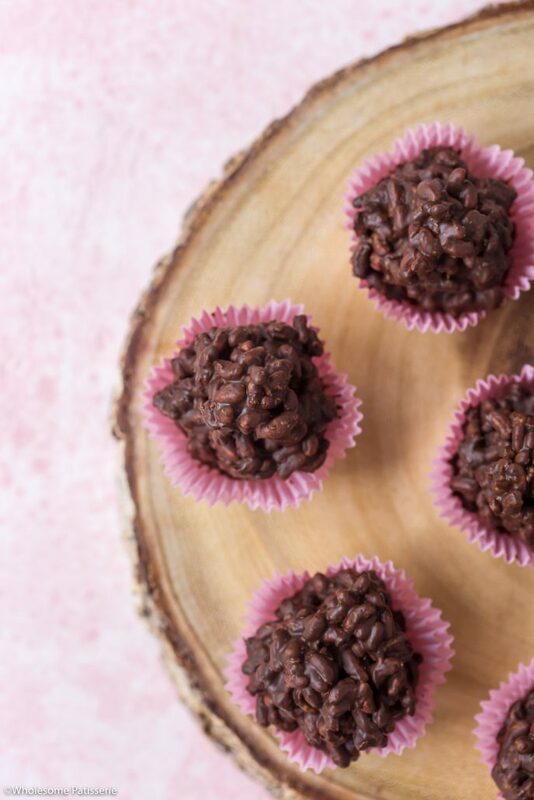 These aren’t your regular, copha filled chocolate crackles, instead they’re filled with only 4 ingredients of dark chocolate, peanut butter (which is optional! ), desiccated coconut and rice bubble cereal. 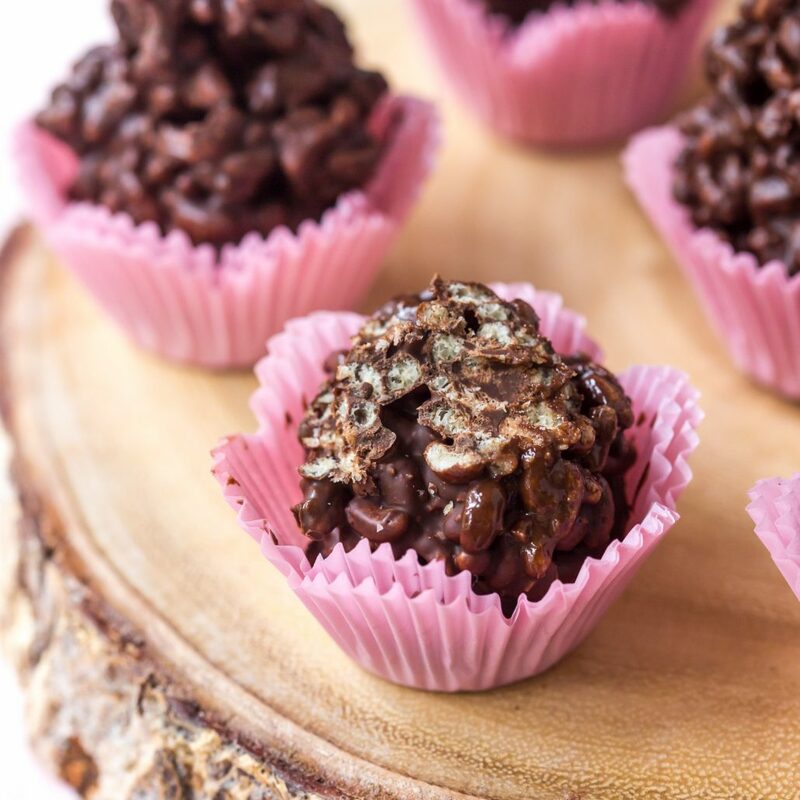 Now that’s a delicious chocolate crackle recipe! 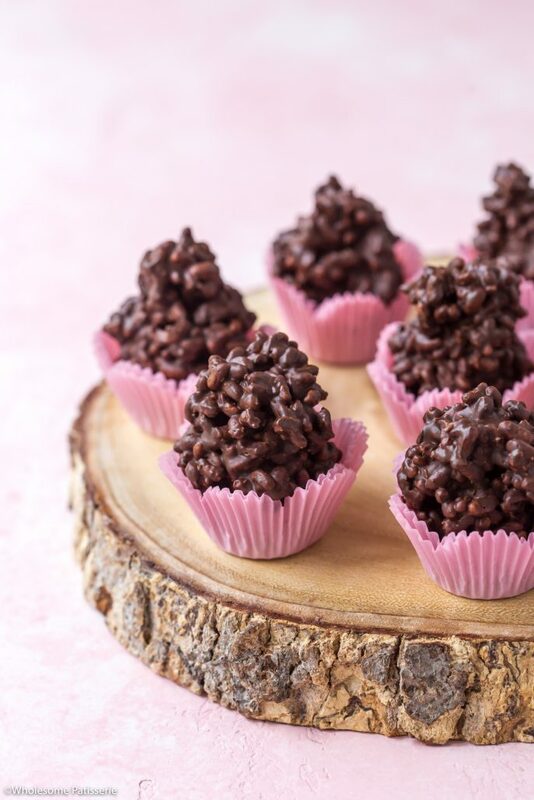 I’m going to be honest and let you know that I had never made my own batch of chocolate crackles, obviously before these delights. They were always given to us as a treat as children made by family. 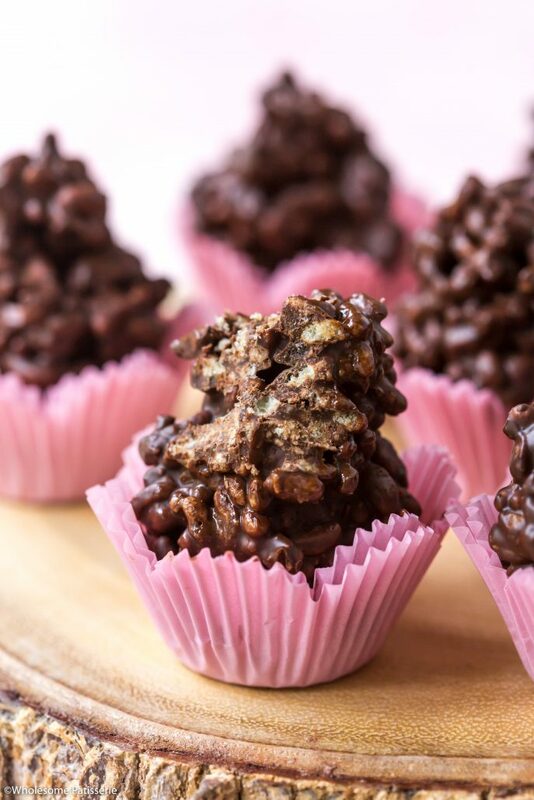 So when I decided to share a chocolate crackle recipe as part of Easter, I actually had to Google what was involved, HA! 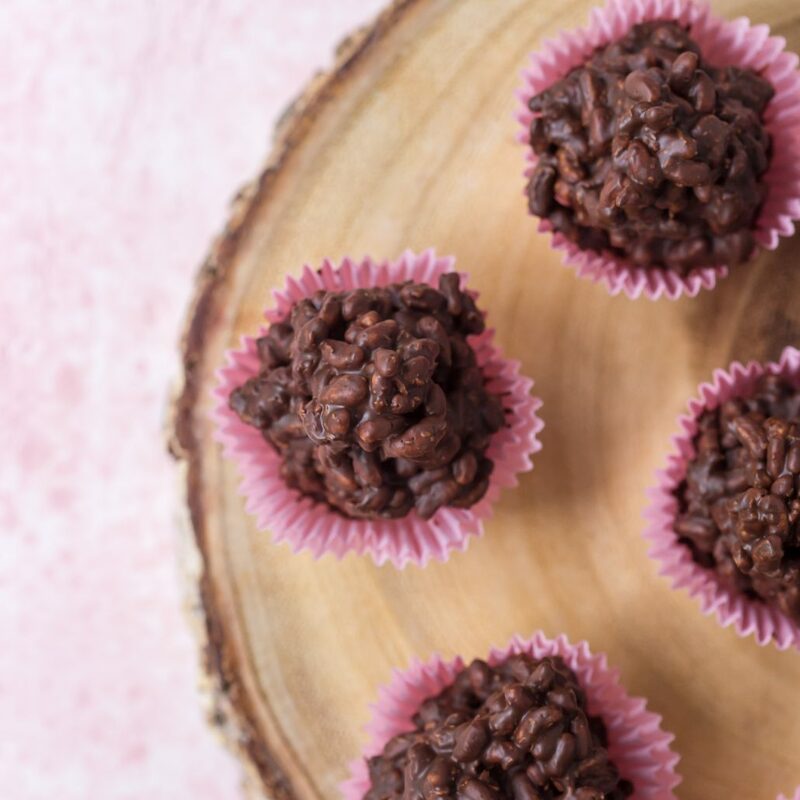 I couldn’t believe copha was used along with copious amount of added sugar, I just had zero idea what was actually in chocolate crackles. 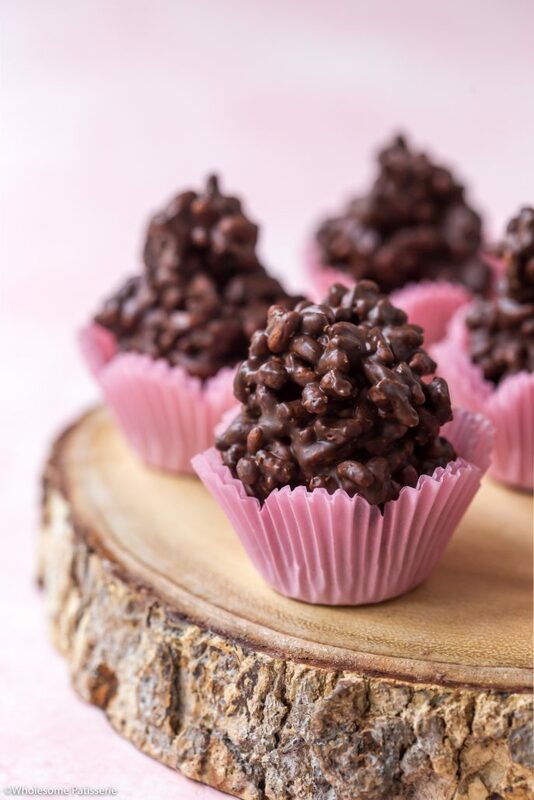 Since I don’t use copha, I wanted to create my own chocolate crackle recipe without copha or too much added sugar. 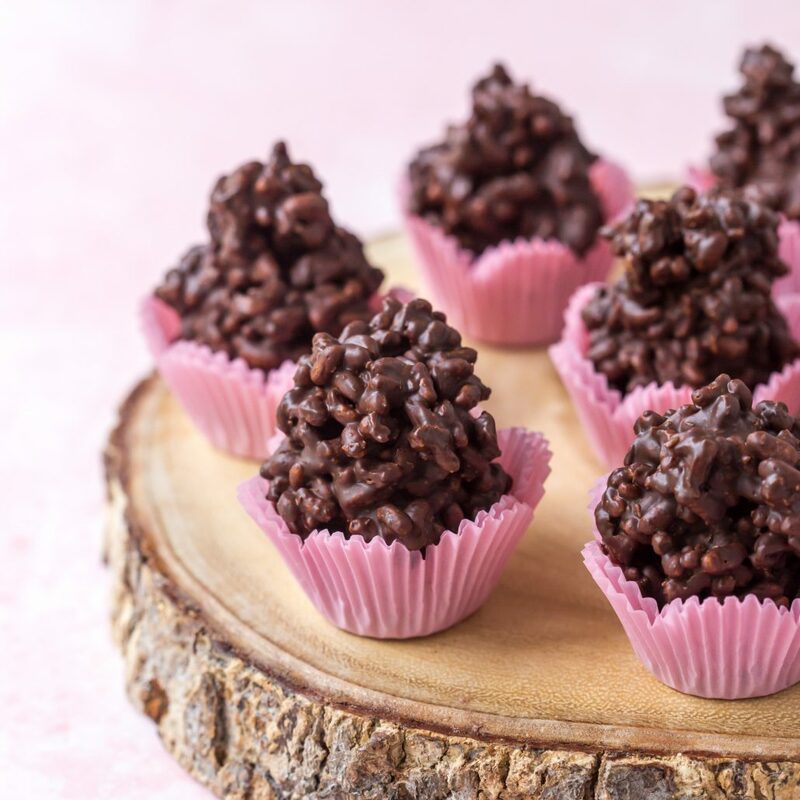 I remembered my chocolate spiders recipe and a light bulb went off, why not just take the concept of that recipe and add rice bubbles and a couple other classic chocolate crackle ingredients? Voila! Success! 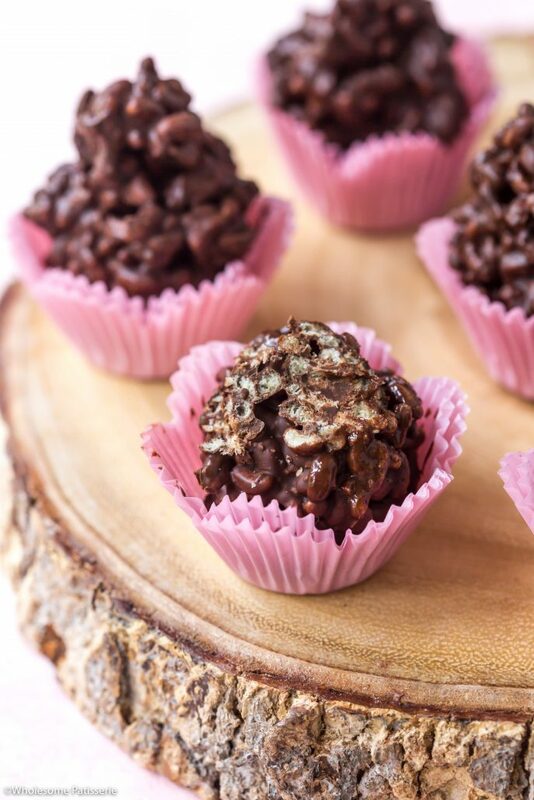 I hope you enjoy this seriously delightful and better for you chocolate crackle recipe! Line a mini cupcake pan with mini cupcake cases. Alternatively, arrange mini cupcake cases on a baking tray or board. Set aside. Prepare a double boiler with a heat proof mixing bowl over simmering water. Add dark chocolate to the bowl and gently melt, stirring occasionally. Once melted, stir through peanut butter until well combined and melted through. Remove from heat. 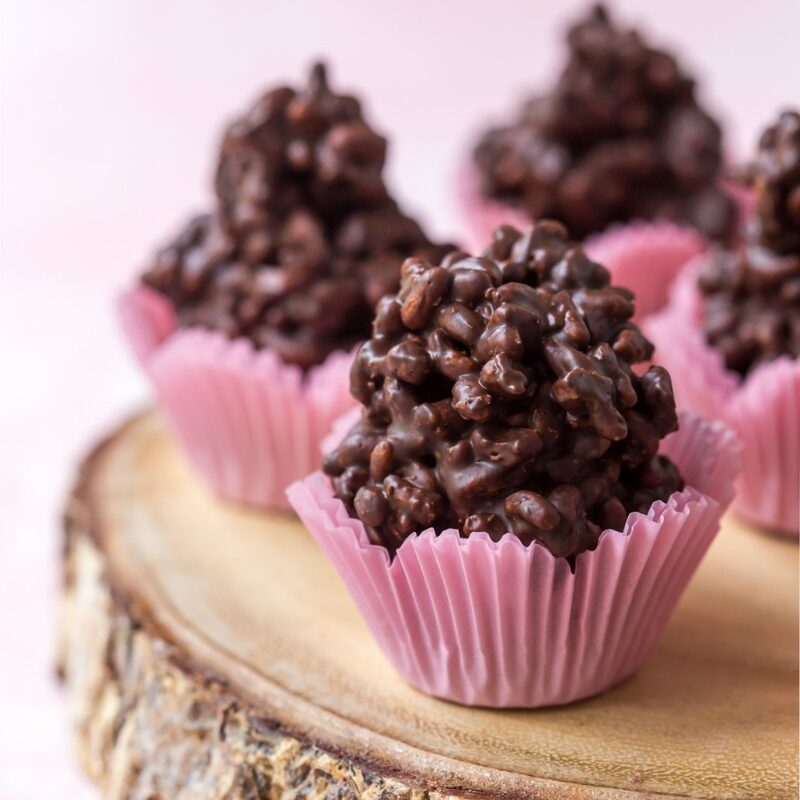 Gradually add rice bubbles, stirring well after each addition to coat well. Spoon mixture into cupcake cases, filling them up high! Or to desired size. Place in refrigerator for 1-2 hours or until completely set.